Yanti has known since she was young that her voice is her primary instrument, but several years ago she fell in love with the acoustic ukulele. The combination of Yanti’s melodic and sultry voice with the distinctive sound of the ukulele causes many a passerby to stop and listen. Yanti’s ukulele, lovingly named ‘Duke’, is rarely far from her and she delights in sharing her sound with any audience. She can mainly be seen busking and at local markets, but she and Duke are also available for private parties and other events. A portion of her busking earnings goes toward bursaries for some of her ukulele students. 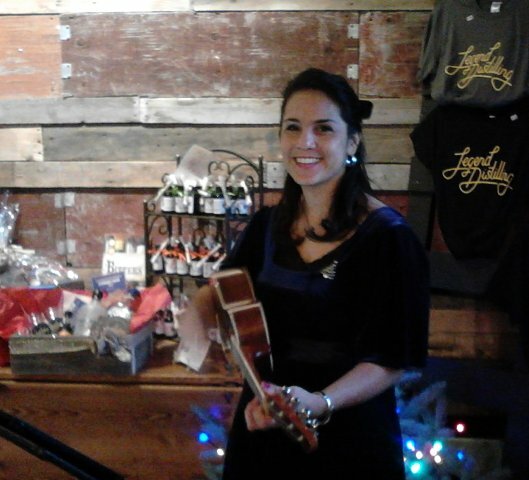 Christmas is a favourite time of year for Yanti and it shows with her Christmas themed ukulele performances. Mainly at local holiday markets, Yanti puts crowds into a merry spirit by showcasing Christmas classics as well as newer holiday favourites with her voice and her ukulele. With over 3 hours of Christmas tunes in her repertoire, Yanti has sung for office parties, private parties, wineries, distilleries and more. Sing along if you know the words!. Spring, Summer and Fall Sundays are for the Summerland and Penticton Markets. Locals and Tourists alike flock to these weekly events, one of which is one of the largest outdoor markets in Western Canada. 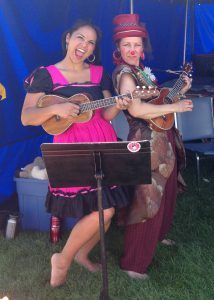 You will find Yanti performing for market goers with her trusty “Duke”. From acoustic favourites to original kids tunes to novel arrangements of modern hits, Yanti adds to the already exciting atmosphere of the Okanagan Summer Markets. Although not as big as Penticton’s Market, little Naramata makes up for size with its breathtaking lake views and laid back atmosphere. Local farmers, wineries, crafts people, and food vendors sell their wares while Yanti lulls the crowd with her voice and talents on the ukulele. 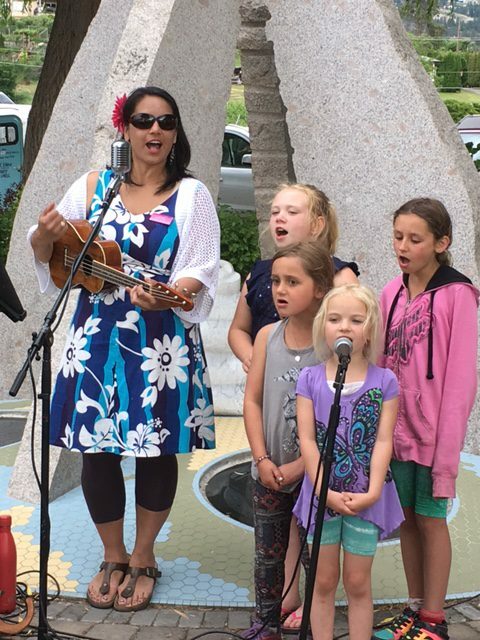 She always sings at least one round of the favourite local tune, “Naramata Sunshine”, written by the Children of Naramata Elementary School and Lowry Olafsson. Come for the market, the lake or the atmosphere, but stay for a while to listen to Yanti sing and play.